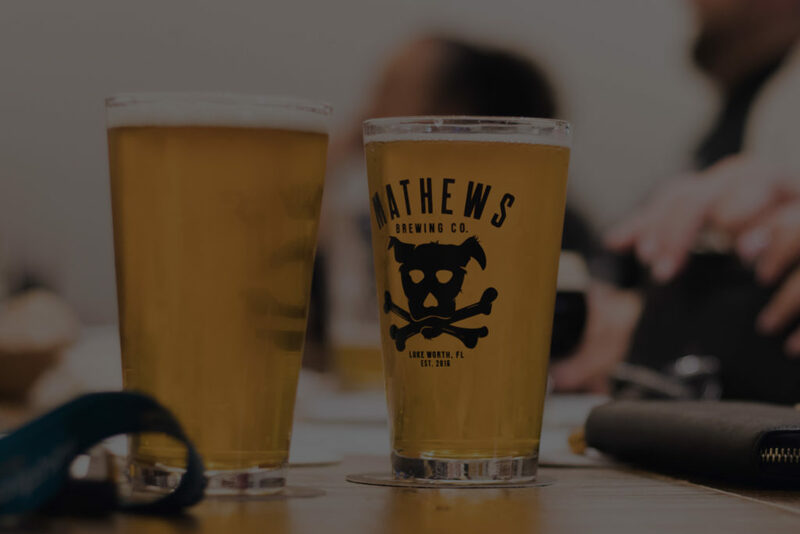 Host Your Event – Mathews Brewing Co.
We are all about brewing quality beer and giving people a fun taproom to drink it in.  So why not share that with the guests of your next event. 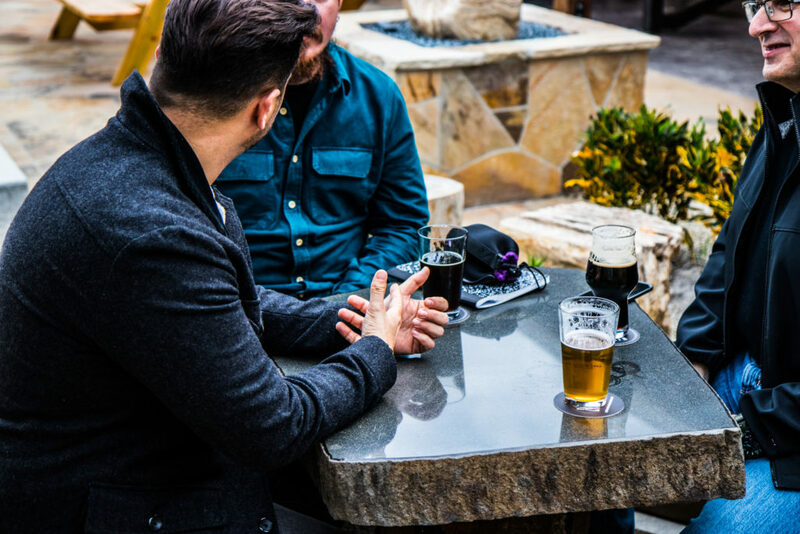 We offer our taproom and outdoor beer garden as one-of-a-kind gathering places for corporate groups, wedding parties, clubs, fundraisers and more. 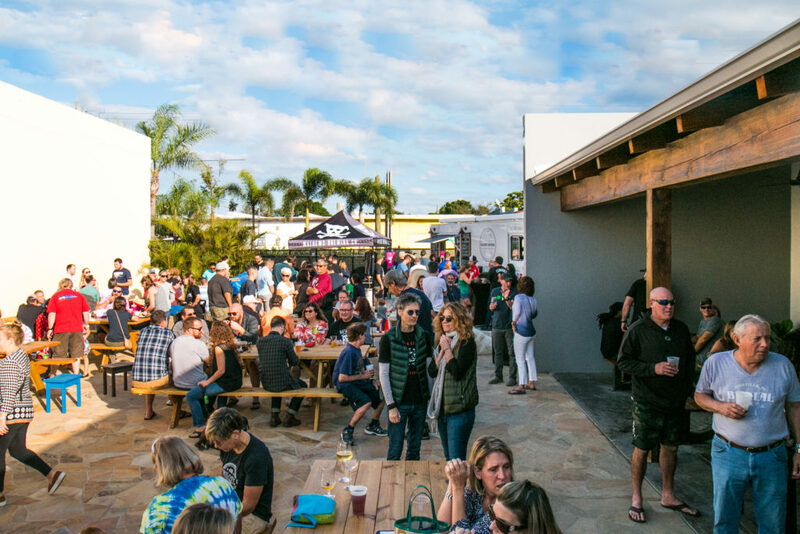 You can rent a space within the brewery or the whole thing. 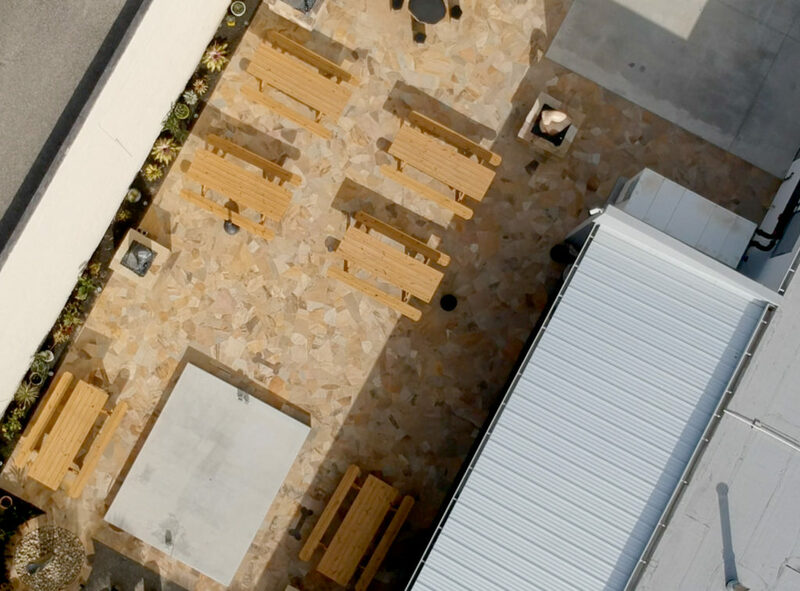 Our tap room can hold 117 people and the outside beer garden and patio provides room for 150 people. Rent one space, or the whole thing. 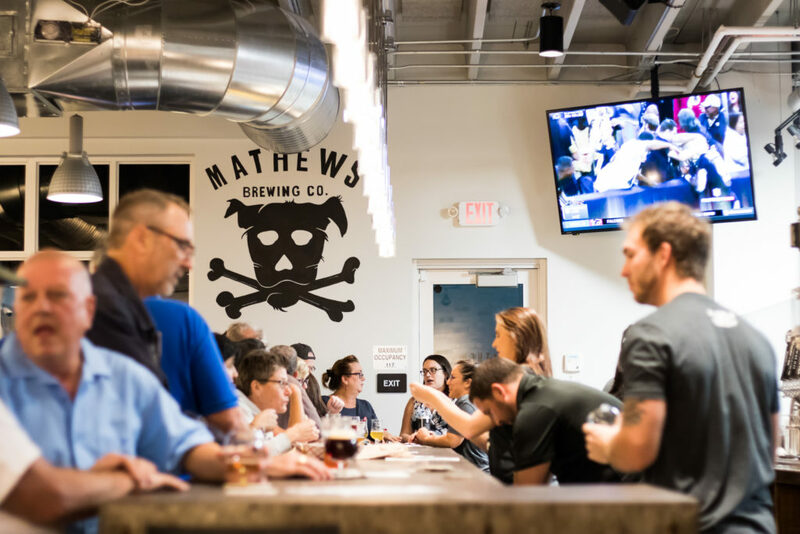 With a unique industrial charm, as well as an open view to the brewing tanks and equipment, your guests will get to experience the magic of a working brewery. 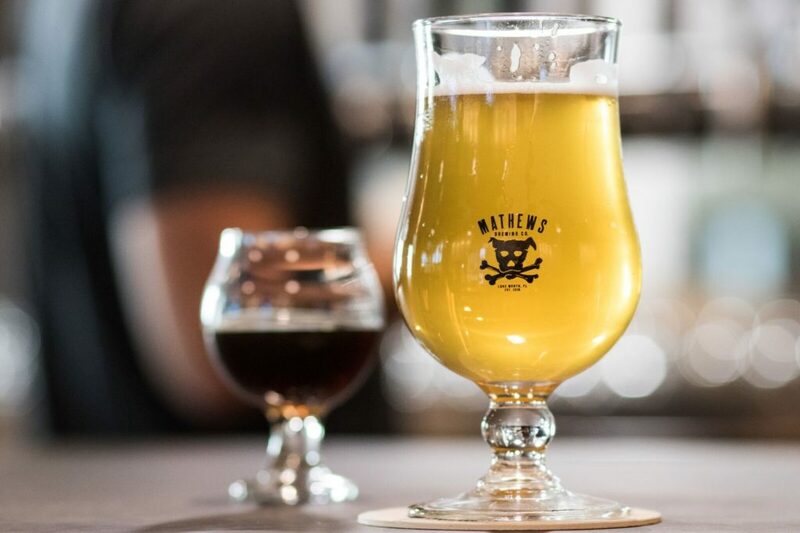 Whatever your needs may be, we have 14+ beers on tap, a full wine list, air-conditioned facilities, a state-of-the-art sound-system, big screen TVs, food trucks, as well as live music acts.